Countryside Village Subdivision is in Tucson’s Northwest area. Shopping, restaurants, and activities are nearby and Oro Valley, and the Foothills Mall are minutes away. Northwest Tucson is a growing part of the greater Tucson Metropolitan area. Northwest Tucson new home builders are opening new subdivisions with single family homes and townhouses. The area offers buyers a wide range of homes and active lifestyles. And for golfers, Crooked Tree Golf Course is minutes away. 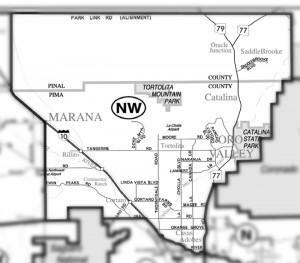 Families living in Countryside Village Subdivision are served by the Marana School District. Restaurants to visit if you are in the Countryside Village Subdivision or another area of the Northwest El Charro and Michangelos. They are a short drive away, but worth the trip. In Addition to the Countryside Village Subdivision, the Northwest Tucson offers a wide range of lifestyle choices. 55+ adult communities, golf course homes, and luxury homes in gated neighborhoods. SaddleBrooke and the Highlands at Dove Mountain are also in the Northwest. They, along with Sun City Vistoso are 3 of the larger 55+ communities. Northwest Hospital is at La Cholla and Orange Grove Rd. It is a community hospital, serving residents in Northwest Tucson. Services include diagnostic imaging and emergency, medical and surgical medical care. Countryside Village Subdivision is 10 minutes away from the Northwest Hospital facility and Physician Offices. Considering A Home In Countryside Village Subdivision? Are you thinking of buying a home in the Countryside Village Subdivision or another area of Tucson? Finding the right home can be a challenging process. But we can make the process much less stressful for you. Thinking about selling a home in the Tucson area?